Bed and Breakfasts near Putney Bridge for 1 night from Fri Apr 19, 2019 to Sat Apr 20, 2019 within 25 miles, in an Average Nightly price range of £1 to £200. Situated beside the River Thames, mk hotel London is just a minute's walk from all that Putney High Street has to offer, including a cinema, bars and restaurants. Free Wi-Fi is available throughout the hotel. Each air-conditioned room at mk London features a 32-inch flat-screen TV, en suite bathroom and tea/coffee making facilities. Guests can enjoy a fresh breakfast buffet each morning and choose from the wide variety of local restaurants for lunch and evening meals. A relaxing walk along the Thames can be found a minute's walk away, to discover shops and pubs to have a drink. Central London can be reached in just under 30 minutes via tube from Putney Bridge station, which is just 5 minutes' walk away. Southfields station is only a 4-minute tube journey away and is the closest station for the Wimbledon Tennis Championships. Putney Hotel; BW Signature Collection is set in London, in the Wandsworth district. The property is around 3.4 km from Stamford Bridge - Chelsea FC, 3.9 km from The All England Lawn Tennis Club Centre Court and 3.9 km from Hammersmith Apollo. Local points of interest like Olympia Exhibition Centre and Natural History Museum are reachable within 5 km and 6 km, respectively. At the hotel, every room is fitted with a desk, a flat-screen TV and a private bathroom. Free WiFi is available to all guests, while some rooms are equipped with a balcony. A continental breakfast is available daily at Putney Hotel, BW Signature Collecti. The reception can provide advice on the area in order to help guests plan their day. Victoria and Albert Museum is 6 km from the accommodation. 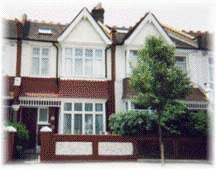 The nearest airport is London Heathrow Airport, 22 km from the property. We look forward to welcoming you to our comfortable family home. Our prices are reasonable, and we serve a good continental breakfast. We are conveniently situated, near to Putney Bridge, with easy access to Central London by 22Bus, Tube, or Train. A warm welcome to The Lodge Hotel Putney a gorgeously designed boutique hotel with a focus on exceptional service offering unrivalled value. Putting comfort and hospitality first to answer the call for a relaxed smartly curated place to stay in south west London. We are a full-service hotel with much to offer including newly renovated guestrooms all-day dining free parking gym and super-fast Wi-Fi however our raison d etre is service that genuinely cares always on-hand but never in the way. Rich textures luxurious bedding and custom-made furnishings give our 73 bedroom hotel a hip yet cosy feel. Whether for business or pleasure The Lodge is a savvy base for your next London adventure. In attractive, tree-lined Putney with free parking and elegant interiors, The Lodge Hotel is a boutique hotel just a few minutes' walk from East Putney Tube Station. It offers free super-fast Wi-Fi and a stylish bar, and is 5 minutes' drive from the River Thames. Wimbledon is just 5 minutes away by car or Tube, whilst central London is a 20-minute Tube journey from East Putney Station. Putney's town centre, with bars and shops, is 0.5 miles away. All rooms at the Lodge have a flat-screen satellite TV, luxury bed linen, a work area and free tea and coffee. Each luxury tiled bathroom has a hairdryer. Guests can take breakfast in the restaurant. The Hide & Seed Restaurant offers light meals, pastries and a relaxing lounge, and guests can relax with a book in the hotel's own library. Hide & seed is open all day and serves 100% homemade seasonal food, including dishes from the Robata Grill. Guest have access to the on-site gym. Apartments GREYHOUND - SK is situated in the Hammersmith and Fulham district of London, 1.4 km from Hammersmith Apollo and 1.9 km from Olympia Exhibition Centre. Complimentary WiFi is offered. Each unit is fitted with a fully equipped kitchen with a dishwasher, a seating area with a sofa bed, a flat-screen TV, a washing machine, and a private bathroom with bath. An oven and kettle are also available. Stamford Bridge - Chelsea FC is 2.4 km from the apartment. London Heathrow Airport is 21 km away. Our London Fulham hotel is just down the road from the famous Hammersmith Apollo in the heart of trendy Fulham. It s surrounded by shops and restaurants and is minutes away from the cinema and transport links of Fulham Broadway. You re within walking distance of Earl s Court ideal if you re in town for an exhibition or conference. Towards the river you ll find Fulham Palace a treasure trove of British history. All rooms feature a comfy king size bed with four plump pillows and a cosy duvet. Guests can enjoy a wide variety of food and drink choices within easy walking distance from this hotel. Useful information: Due to the central location of this hotel some external noise may be heard. Early/Late Check-In/Out Service if you re looking to make the most of your day we can offer an Early Check-In service from 12:00noon and a Late Check-Out Service until 2pm so you have more time to relax - cost is �10 per service per room subject to availability - bookable direct by telephoning the hotel. We are a pet friendly hotel and allow up to 2 domestic pets per stay. This is at an additional charge of �20 per pet per stay. Please contact LateRooms to arrange this to be added to your booking and for further details on charges and terms and conditions. Please note that Guide dogs Hearing dogs and other animals to aid disability are exempt from charge. Just a few minutes' walk to West Brompton Tube Station on the District line in the Tube zone 2, Ibis Earl's Court is 4 Tube stops from Harrods and 16-minutes' walk to Fulham. The Ibis Earl's Court's spacious, comfortable rooms. Each include a work area and satellite TV, and a private bathroom featuring a bath and shower. Free WiFi is available throughout the property. La table restaurant offers an Ã€ la carte menu, as well as a daily carvery buffet. Seasonal menus are also on offer throughout the year. For your breakfast, both full English and continental options are served daily. Light snacks, live sports and a selection of drinks can be enjoyed in the on-site pub. There is undercover pay parking at Hotel Ibis London Earls Court and the hotel also offers business facilities. The shops of Oxford Circus, and the theatres and bars of the West End, are 20 minutes away on the Tube from West Brompton Station. Hyde Park and Kensington can both be reached in 11-minutes' by public transport. Just 200 metres from Wandsworth Town Rail Station, this modern hotel offers easy travel in and around London. Holiday Inn Express offers inclusive breakfast, free WiFi, a 24-hour front desk and rooms with air conditioning. The air-conditioned rooms each have a flat-screen TV, tea/coffee facilities and a modern private bathroom with a hairdryer. Guests can enjoy a hearty breakfast buffet each morning, which offers both hot and cold options. The lounge bar offers a range of fresh coffees, light snacks and wines, including a snack menu offering panini, pizza, curry and other hot dishes. Holiday Inn Express Wandsworth is just a 12-minute train ride from central London and 35 minutes from Gatwick Airport. Limited on-site parking is available, and Westfield London Shopping Centre can be reached in a 15-minute drive. The hotel is on the banks of the Thames, a 2-mile walk from Battersea Park and its zoo, or the nightlife of Clapham. Stamford Bridge - Chelsea football stadium is 2 miles away. Heathrow Airport can be reached within 14 miles of the hotel. Set in London within less than 1 km of Olympia Exhibition Centre and an 18-minute walk of Hammersmith Apollo, Regents Court Apartment provides accommodation with free WiFi, seating area and a kitchenette. Some units feature a balcony and/or patio. Cycling can be enjoyed nearby. Stamford Bridge - Chelsea FC is 2 km from the apartment, while Natural History Museum is 3 km from the property. London City Airport is 21 km away. Opposite Earl's Court Exhibition Centre, this hotel offers en suite rooms at great-value rates. West Brompton tube station is a mere 90 metres away, while Earls Court tube station is 5 minutes' walk. Free WiFi is available throughout and on-site parking is available for an additional fee. All of the en-suite rooms at Hotel Lily feature a TV, telephone and tea/coffee facilities. Guests can start the day off with a selection of breakfasts, from toast and preserved to a full English breakfast. Hotel Lily is less than a mile (1.6 km) from Olympia Exhibition Centre, while Stamford Bridge, the home of Chelsea FC is just 650 metres away. The Queen's Club Gardens is 1 km from the property, and Wimbledon Tennis Club is 7 km away. Cheap & Budget Hotel in Kensington / Earls Court. Welcome to Hotel Lily a hotel for travellers on a budget. If you are seeking a cheap on the edge of Kensington we are just a minute s walk from West Brompton Tube Station with friendly and attentive staff. Located within striking distance of Harrods in London the Hammersmith Apollo Earls Court Exhibition Centre Olympia Chelsea Football Ground and the Royal Albert Hall we offer good transport links. West Brompton Earl s Court and West Kensington Tube Stations are all close by and buses travelling to central London stop outside making Hotel Lily the ideal choice for accommodation in Central London. The Hotel Lily is one of the best value hotels near Chelsea football ground. Sports fans interested in taking in a football match or touring the stadium will enjoy the proximity of our hotel to the stadium. You won t even need the bus or tube to get there. It takes only about ten minutes to walk to the stadium from the hotel. All 110 rooms in The Hotel Lily have a private bath with a shower and free WIFI. Other amenities in all rooms include a direct dial telephone and colour television. Our guests enjoy exceptional service from the management and staff in an attractive setting. In the morning join us in the dining room for a complementary full English breakfast to get the day off to a good start. In South West London, The Alma Hotel is just 50 metres from Wandsworth Train Station. Boutique bedrooms feature designer wallpaper, luxury toiletries, free Wi-Fi and LCD TVs. The spacious bedrooms have Egyptian cotton sheets and fluffy bathrobes. They also include a work desk, iPod dock and tea/coffee making facilities. Some have luxury bathrooms with stand-alone baths. At the heart of the Alma is a traditional London pub with a range of real ales and fine wines. The beautiful dining room serves modern British cuisine and features antique-style furniture. East Putney Underground Station is just 5 minutes' drive away, offering direct access to Earls Court, Chelsea and Knightsbridge. Heathrow Airport is just 12 miles from the Alma Hotel. In Imperial Wharf, a 2-minute walk from London's fashionable King's Road, DoubleTree by Hilton London Chelsea offers a 24-hour reception, bar and restaurant, as well as a Costa Coffee bar onsite. The hotel has free WiFi throughout. The bedrooms all have their own bathroom, with toiletries and a hairdryer. Other facilities include a flat-screen TV, work area and tea/coffee making facilities. Full English breakfast is served in the modern restaurant which also offers an international dinner menu. The bar serves lunch as well as coffee and snacks. Guests are greeted with a chocolate chip cookie at reception upon check-in. DoubleTree by Hilton London Chelsea also provides services including dry cleaning, laundry and luggage storage. Public parking is available close to the hotel, at an additional cost. Within 15 minutes' walk of Chelsea Football Club, DoubleTree by Hilton London Chelsea is located opposite Imperial Wharf Train Station. From here, Shepherd's Bush, home of the Westfield Shopping Centre, is just 8 minutes away by train. The Sara Hotel is situated in Earls Court which is ideally located in the fashionable Kensington area with Hyde Park Kensington Gardens museums and department stores nearby. Some of London s most famous landmarks are also within 10 minutes reach of the hotel such as the Royal Albert Hall and the Victoria and Albert Museum. Offering comfortable accommodations and central location our hotel is a suitable base for budget-conscious travelers on business or leisure trips. All bedrooms are centrally heated and have a colour television alarm clocks and fitted hairdryers. The rooms are spacious with private shower toilet and hand basin with constant hot water. We also offer free Wi-Fi in all areas 24-hour reception and hotel lift. The Sara Hotel is only a mile away from the Olympia Exhibition Halls. The immediate area itself has a variety of restaurants shops banks supermarkets and street markets for your convenience. Public transport is available on the door step with Earl s Court Station only seven minutes away on foot. Offering free WiFi and continental breakfasts, Sara Hotel is just 20 minutes' walk from Olympia Exhibition Centre. West Brompton train station is just a 2-minute walk away, with train connections to Wimbledon. Earl's Court Underground Station is a 10-minute walk away. The traditional bedrooms at Sara Hotel each have a private shower room. Rooms also feature a flat-screen TV, a hairdryer, ironing facilities and tea/coffee making facilities. Continental breakfasts are served daily in the spacious dining room, including fresh coffee, fruit juices and cereals. There is a great range of international restaurants just a short walk away. The Sara Hotel is 15 minutes' walk from the lively Kensington High Street, and is situated 1.5 miles from Hyde Park. Both the Victoria and Albert Museum and the Natural History Museum can be reached within a 15-minute tube journey. Buckingham Palace can be reached within a 25-minute tube journey. Located 1.2 km from Olympia Exhibition Centre, Exhibition Court Hotel features accommodation with free WiFi in London. Conveniently located in the Kensington and Chelsea district, this hotel is set 2.1 km from Natural History Museum. Hammersmith Apollo is 2.2 km away. Guest rooms in the hotel are equipped with a flat-screen TV. Each room has a private bathroom with a shower. All rooms include a desk. Speaking Arabic, English and Georgian at the reception, staff are ready to help around the clock. Victoria and Albert Museum is 2.4 km from Exhibition Court Hotel, while Stamford Bridge - Chelsea FC is 2.5 km from the property. The nearest airport is London City Airport, 20 km from the property. Offering boutique accommodation and free Wi-Fi, Simply Rooms & Suites is located in central London. It is a 5-minute walk from Kensington High Street, with its restaurants and cinema. The hotel is outside the Congestion Zone, a 5-minute walk from Olympia Exhibition Centre and West Kensington Tube station. Earl's Court Exhibition Centre is around 20 minutes' walk away. Each stylish room at Simply Rooms & Suites has modern wooden furniture, and offers a flat-screen TV, an iPod dock, and air conditioning. The bathrooms have a power shower, a bathroom speaker and luxury toiletries. The Suite rooms all offer full kitchen facilities including a hob, oven, fridge/freezer, and microwave. Featuring self-catering apartments Kensington Apartments are located in Hammersmith and Fulham borough only 5 minutes walk from Olympia Exhibition Centre and 6 minutes walk from West Kensington Tube Station. It offers en-suite accommodation and free WiFi. br / br / br / br / The self-catering apartments come with a flat-screen TVs sleeping arrangements from small double sofa beds to super kingsize beds and storage space. All bathrooms have baths and showers and there also are fully equipped kitchens with dishwashers washing machines owens and microwaves. br / br / br / br / The property is a 20-minute Tube journey from the well-known department store Harrods and 10 minutes bus journey from Hyde Park. Piccadilly Circus and Trafalgar Square can be reached in 25 minutes by Tube or bus.